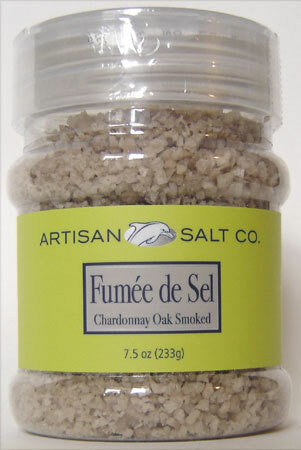 Fumee de Sel, by Artisan, is premium sea salt slowly smoked over chardonnay oak wine barrels. It is prized for its gentle smoke flavor with a savory hint of wine. 7.5 oz in a resealable plastic container.